Credit: UCR School of Medicine. RIVERSIDE, Calif. — Pacific Islanders, who trace their roots to the native peoples of Hawaii, Guam, Samoa, and other Pacific Islands, make up the third-fastest-growing racial group in the United States. But they may be the most underresearched. From what little is known about Pacific Islander behavioral health, alcohol appears to be a common substance of abuse among members of this group, especially among young adults, who are thought to be at highest risk for alcohol misuse, addiction, and alcohol-related health problems. 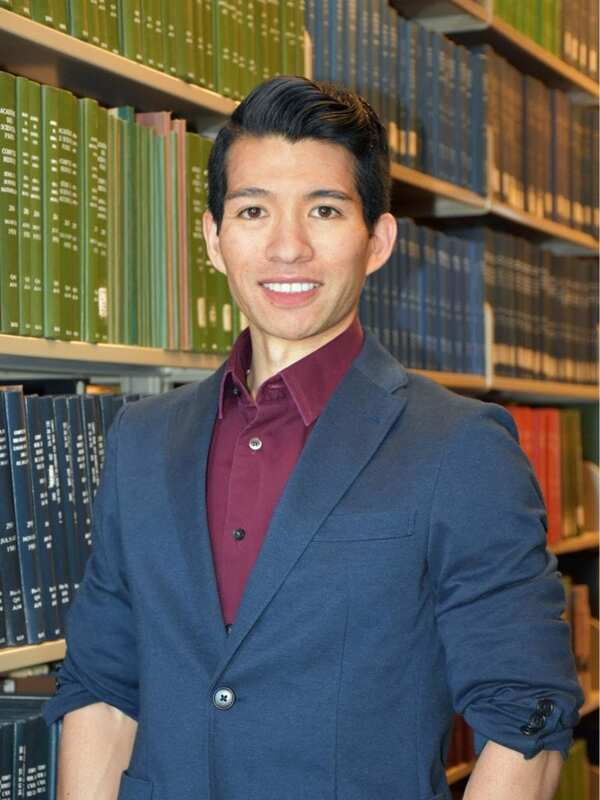 Andrew Subica, an assistant professor in the Department of Social Medicine, Population, & Public Health at the UC Riverside School of Medicine, has received a two-year, $451,000 grant from the National Institutes of Health, or NIH, to study Pacific Islander alcohol prevention. The project, "Developing a Prevention Model of Alcohol Use Disorder among Pacific Islander Young Adults," is the first grant funded by the NIH's National Institute of Alcohol Abuse and Alcoholism, or NIAAA, to specifically focus on Pacific Islander populations. "Alcohol use disorders appear to be a critical problem facing U.S. Pacific Islander communities, especially among young adults 18 to 30 years-old who our communities have reported are most affected by alcohol use disorders and alcohol-related harms such as fights, legal problems, drunk driving, and fatalities," Subica said. "Unfortunately, while international research suggests Pacific Islanders have significantly higher levels of alcohol use disorders and risky drinking, which greatly increases the risk of alcohol-related harms and death, there has been almost no research done to understand the problem of alcohol use disorders among Pacific Islanders." Subica explained that rates of alcohol use disorders may be two-to-four times higher among Pacific Islanders than those reported for the U.S. general population, suggesting this underserved population faces a major unaddressed problem. Subica came to study alcohol-use disorders among Pacific Islanders while doing his pilot projects on mental health problems — depression, anxiety, suicide — in this population. During these studies, the community informed him of its concerns surrounding alcohol use disorders in the community and the harm it causes, leading him to apply for an alcohol prevention grant from the NIAAA. To do the research, Subica will first conduct focus groups with lay Pacific Islander young adults to better understand the scope and nature of alcohol-use disorders in this Pacific Islander group, and the risk and protective factors that can lead to, or more importantly, prevent alcohol-use disorders among them. "With this data, I plan to develop new materials to conduct full-day workshops with Pacific Islander young adults. During these workshops, the young adults will help me culturally tailor current alcohol prevention interventions to meet their unique needs," Subica said. "My team also will consult with Pacific Islander cultural experts and use our rich study data to develop a novel set of alcohol use disorder prevention strategies for Pacific Islander young adults." Subica, a member of the Center for Healthy Communities at UCR, will work with investigators at the University of Utah, University of Southern California, Duke University, and University of Maryland on the project. Dr. Howard Moss of the UCR School of Medicine will serve as a consultant. Through the project, Subica hopes to gain a thorough understanding of why Pacific Islander young adults use alcohol in the first place, and what factors then lead them to misuse alcohol and develop alcohol-use disorders. These factors may include: lower incomes, intense family pressure to provide economically for the family, powerful cultural and social obligations that may create stress, discrimination, family and peer pressure to binge drink, and untreated mental illnesses. To prevent alcohol use disorders, Subica will examine factors that protect Pacific Islander young adults from using alcohol at all or using alcohol responsibly without transitioning to alcohol-use disorders. "At the end of this grant, we would like to have gained a set of culturally tailored prevention strategies chosen by Pacific Islanders that is likely to be effective in preventing Pacific Islander young adult alcohol use disorders," he said. "This should help us gain an understanding of the nature of alcohol use disorders in Pacific Islander young adults and inform the interventions we create." Subica plans to use an innovative community approach to gathering data that lets Pacific Islanders play a significant role in shaping the interventions his team develops. He is hopeful the interventions will be more effective than existing interventions. "Having Pacific Islanders weigh in and voice their preferences at every level of the intervention development process is useful in that it helps ensure the resulting intervention will be appropriate and accepted by the community — necessary factors for an intervention to be effective with underserved racial populations," Subica said.